Folding wagons are essential tools ideal for you to have around at any point in time, as they can be used for both outdoor and indoor purposes. 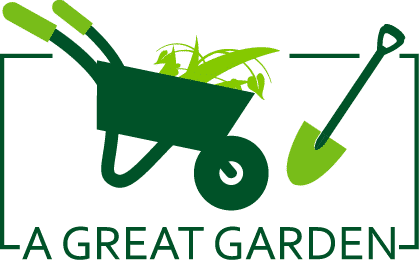 Whether in transporting materials at work, or just simply moving dirt while working in the garden, having a wagon within reach at all times would prove beneficial. Wagons are useful equipment. However, you might want to consider a cart which has a larger storage capacity, since this would serve as the main advantage of a folding wagon when compared to other unfolding wagon versions. Are you looking for a cart that is foldable and has a large storage capacity? Check out this Ozark Trail folding wagon. This wagon is a heavy-duty and versatile wagon that makes your every loading and moving job easy and effortless. This review is intended to get you inform about the benefits and features, and reasons why you need to have one of your own. The 600D polyester fabric that is used to design the Ozark Trail folding all-terrain wagon is very sturdy and dependable. Thus, you are rest assured that it would not be easily damaged. In addition, the wheels are also made of rubber which means they are heavy duty and can survive harsh conditions. This product has a very stable structure with a high-density steel frame put in place, you are sure that the Ozark Trail folding all-terrain wagon would not collapse under the weight of your materials. The wheel that this product comes with is also heavy duty. It can move smoothly almost on the surface. 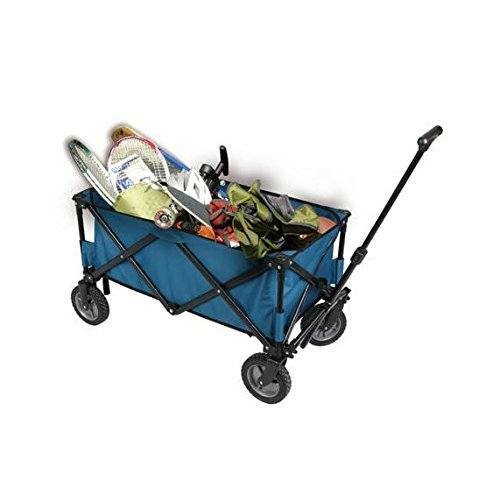 The Ozark folding wagon weighs only around 30 pounds. This is relatively light when compared to other product. Thus, users can easily transport it. Because of its lightweight, you would easily be able to handle it when using it to carry your equipment. The Ozark Trail folding wagon can transport up to 250 pounds weight. That is impressive, especially when compared to its portability and compact size. The ‘O’ shaped handle bars are for you to grip. Compared to other folding wagons, one drawback of this wagon is that it has no side pockets. Thus, there is no room for minor objects, and the only one a user gets to utilize it its primary storage. Since this wagon has short handles, it might not provide much comfort to the user when maneuvering this wagon. The wheels that the Ozark Trail folding all-terrain wagon has are versatile, giving the product the ability to move on any kinds of terrain, whether rough or flat. This wagon’s wheels are sized at an impressive 07-inch and are made of high-quality rubber, which assures you it is tough, heavy-duty and can smoothly roll. Thus, there is no need for you to worry about moving it to the park or the airport because its wheels have got you covered. The Ozark Trail foldable wagon features a very solid structure due to its high-density frame made of steel. This means that the device is not just durable, but also very sturdy. This Ozark Trail foldable wagon can survive moderately harsh conditions and can be used to move materials conveniently without worrying about it being damaged when its weight is fully maximized. Besides, this wagon can even hold up to 250 pounds of weight, which makes it hugely functional for moving large and weighty objects. This Ozark Trail folding wagon is not just sturdy and heavy-duty; it is also very light in weight because it only weighs around 30 pounds! Compared to other wagons, this wagon is lighter in weight. Thus, you would easily be able to transport this wagon without stress and much strain, when it is not in use. Also, its lightweight structure also helps users to be able to maneuver this red folding wagon quickly even when it is heavily burdened with a load. 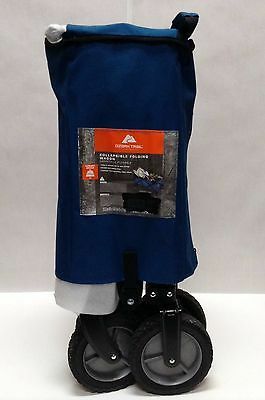 This Ozark Trail foldable wagon features 600D polyester fabric that is washable and is easy to maintain. A fabric material such as polyester does not lose shape and is very durable. Also, the wagon’s fabric is also very reliable and does not fade quickly. It will also not lose its functionality, especially if the wagon is burdened with the load. Thus, not only is this wagon’s structure is sturdy and durable, but also its polyester fabric support. The general dimensions of the Ozark Trail foldable wagon make loading and transporting materials easier for you, no matter what your height is. According to other customers’ reviews, using this Ozark Trail foldable wagon made them happy they bought it since the wagon seems to adjust itself to their wishes during the performance. However, there are also a few cases in which customers had to bend a little due to their tall height. Nevertheless, this foldable wagon is user-friendly to its users. The best thing about this Ozark wagon is it does not need to be assembled! However, it would be ideal to tighten up some of the cart’s bolts or check the whole product first before using. Check the cart’s bolts and its parts are correctly connected and tightened, for you to fully and reliably use it, and put it into the function. Watch this video on how to unbox this item. The Ozark Trail folding wagon is both sturdy and reliable and can be useful to anyone. It can be used to transport materials as well such equipment for camping on the beach. Small-scale farmers can also use it during tedious chores like gardening. Basically, anyone and everyone would find it very useful. Q: Can ozark folding wagon stand on its own? A: Yes, this Ozark Trail collapsible wagon can stand on its own, and does not need a wall or any surface for it to lean on. Besides, this wagon is very easy to store not only because of its ability to be folded, but also its ability to stand and fit in small spaces. Q: Is this folding wagon portable enough to bring when commuting? A: It would be quite a struggle to bring this wagon especially when you are commuting since it might be a bit heavy for you to take it yourself. However, having this folding wagon is portable enough when you put it in the car and the only time you are going to carry it is when you are about to use it. Q: How much weight can this wagon hold? A: This folding wagon can effectively hold up heavy materials, essential garden tools and equipment because of its 250lbs large storage capacity. With the features this Ozark Trail folding wagon has, it is the best wagon you can bring with you anytime, anywhere! Its weight is quite lighter compared to other carts, but it can hold heavy weights as much as 250 lbs! Its tires and structure are durably made, to ensure its optimum functionality for any kind of use. Furthermore, this folding wagon can roll through different kinds of terrain, which makes the wagon ideal to be used indoors and especially on outdoors. This wagon also does not need to be assembled which saves your time and effort! Even if this wagon has no side pockets and has small handles, it can still be put in full function for your loading and transporting uses. Finally, if you are looking for one of the best wagons that is not hard to store, light in weight and large in storage capacity, I highly recommend this one with no reservations.